Axe was launched in France in 1983 by Unilever. It was inspired by another of Unilever’s brands, Impulse. Unilever were keen to capitalize on Axe’s French success and the rest of Europe from 1985 onwards, later introducing the other products in the range. 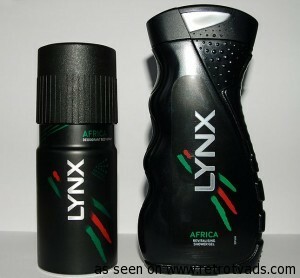 Unilever were unable to use the name Axe in the United Kingdom and Ireland due to trademark problems so it was launched as Lynx. The European launch of the deodorant was followed by success in Latin America and moderate impact in Asia and Africa. In the new millennium, the brand has launched with great success in the United States and Canada. The company has also consolidated its deodorant portfolio by migrating other overlapping male deodorants into the Lynx brand such as South Africa’s Ego brand. In January 2012, Unilever launched its first Lynx product for women in the United Kingdom as part of a global expansion of the previously men’s-only brand.